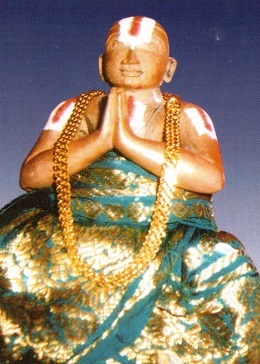 thiruppallANdu pAsuram 6 – enthai thanthai – http://divyaprabandham.koyil.org/index.php/2015/10/thiruppallandu-6-enthai-thanthai/ . Full series at http://divyaprabandham.koyil.org/index.php/2015/06/thiruppallandu/. thiruvezhukURRirukkai – Commencement of telugu translation – http://divyaprabandham.koyil.org/index.php/2015/10/thiruvezhukurrirukkai-telugu/ – new article by shashidhar swamy based on http://divyaprabandham.koyil.org/index.php/2015/04/thiruvezhukurrirukkai/ . thaniyans http://divyaprabandham.koyil.org/index.php/2015/10/thiruvezhukurrirukkai-telugu-thaniyans/ new article by shashidhar swamy based on http://divyaprabandham.koyil.org/index.php/2015/04/thiruvezhukurrirukkai-thaniyans-invocation/ . thiruvAimozhi 1.10.11 – maNiyai vAnavar – http://divyaprabandham.koyil.org/index.php/2015/10/thiruvaimozhi-1-10-11-maniyai-vanavar/ . Full series can be viewed at http://divyaprabandham.koyil.org/?page_id=23 . With this English translation for 1st centum is complete. thiruvAimozhi 1.9 – English – e-book link available at http://divyaprabandham.koyil.org/index.php/2015/03/thiruvaimozhi-1st-centum/ and http://divyaprabandham.koyil.org/index.php/e-books/ . Thanks to parAsaran (pradeep) swamy for preparing the e-book. Full series can be viewed at http://divyaprabandham.koyil.org/?page_id=23 . thiruvAimozhi 1.10.10 – maRappum gyAnamum – http://divyaprabandham.koyil.org/index.php/2015/10/thiruvaimozhi-1-10-10-marappum-gyanamum/ . Full series can be viewed at http://divyaprabandham.koyil.org/?page_id=23 . thiruvAimozhi 1.8 – English – e-book link available at http://divyaprabandham.koyil.org/index.php/2015/03/thiruvaimozhi-1st-centum/ and http://divyaprabandham.koyil.org/index.php/e-books/ . Thanks to parAsaran (pradeep) swamy for preparing the e-book. Full series can be viewed at http://divyaprabandham.koyil.org/?page_id=23 . rAmAnusa nURRanthAdhi pAsuram 12 – http://divyaprabandham.koyil.org/index.php/2015/10/ramanusa-nurranthadhi-12/ – English translation by raghurAm swamy. Full series can be viewed at http://divyaprabandham.koyil.org/index.php/2015/07/ramanusa-nurranthadhi/ . dhivya prabandham – thiruvAimozhi 1.10.9 – nambiyaith thenkuRungudi ninRa – http://divyaprabandham.koyil.org/index.php/2015/10/thiruvaimozhi-1-10-9-nambiyaith-thenkurungudi/ . Full series can be viewed at http://divyaprabandham.koyil.org/?page_id=23 . thiruvezhukURRirukkai audio recording uploaded at http://divyaprabandham.koyil.org/index.php/2015/10/thiruvezhukurrirukkai-audio/ . 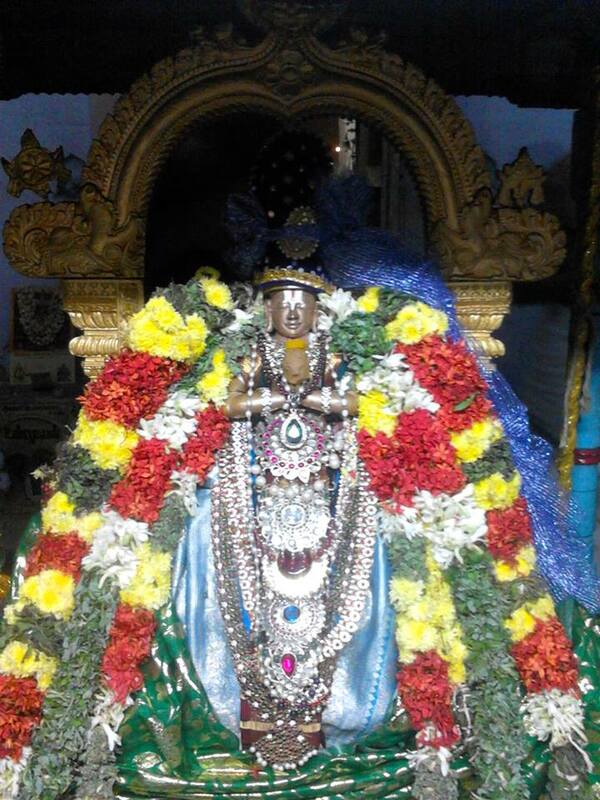 thiruvAimozhi 1.10.8 – selva nAraNan – http://divyaprabandham.koyil.org/index.php/2015/10/thiruvaimozhi-1-10-8-selva-naranan/ . Full series can be viewed at http://divyaprabandham.koyil.org/?page_id=23 . 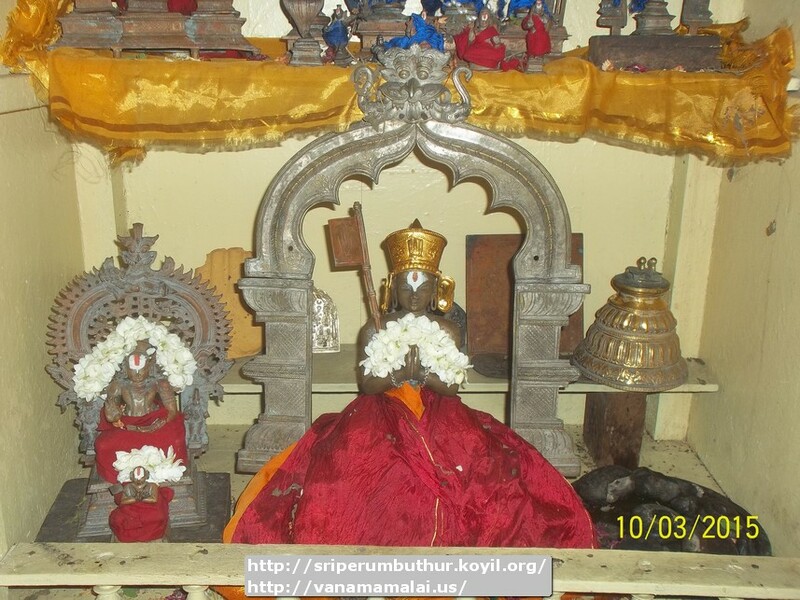 thulA mAsa anubhavam – pEyAzhwAr anubhavam – https://srivaishnavagranthamshindi.wordpress.com/2015/10/24/aippasi-anubhavam-peyazhwar/ – new article by bhagavathi ammangar based on http://ponnadi.blogspot.in/2013/10/aippasi-anubhavam-peyazhwar.html . Full series can be seen at https://srivaishnavagranthamshindi.wordpress.com/thula-masa-anubhavam/. thiruvAimozhi 1.10.7 – enthaiyE enRum – http://divyaprabandham.koyil.org/index.php/2015/10/thiruvaimozhi-1-10-7-enthaiye-enrum/ . Full series can be viewed at http://divyaprabandham.koyil.org/?page_id=23 . thiruvAimozhi 1.7 – English – e-book link available at http://divyaprabandham.koyil.org/index.php/2015/03/thiruvaimozhi-1st-centum/ and http://divyaprabandham.koyil.org/index.php/e-books/ . Thanks to parAsaran (pradeep) swamy for preparing the e-book. Full series can be viewed at http://divyaprabandham.koyil.org/?page_id=23 . This entry was posted in Uncategorized on October 24, 2015 by Sarathy Thothathri. dhivya prabandham – thiruvAimozhi 1.10.6 – nIyum nAnum – http://divyaprabandham.koyil.org/index.php/2015/10/thiruvaimozhi-1-10-6-niyum-nanum/ . Full series can be viewed at http://divyaprabandham.koyil.org/?page_id=23 . thulA mAsa anubhavam – bhUthaththAzhwAr anubhavam – https://srivaishnavagranthamshindi.wordpress.com/2015/10/22/thula-anubhavam-bhuthathazhwar/ – new article by bhagavathi ammangar based on http://ponnadi.blogspot.in/2013/10/aippasi-anubhavam-bhuthathazhwar.html . Full series can be seen at https://srivaishnavagranthamshindi.wordpress.com/thula-masa-anubhavam/. 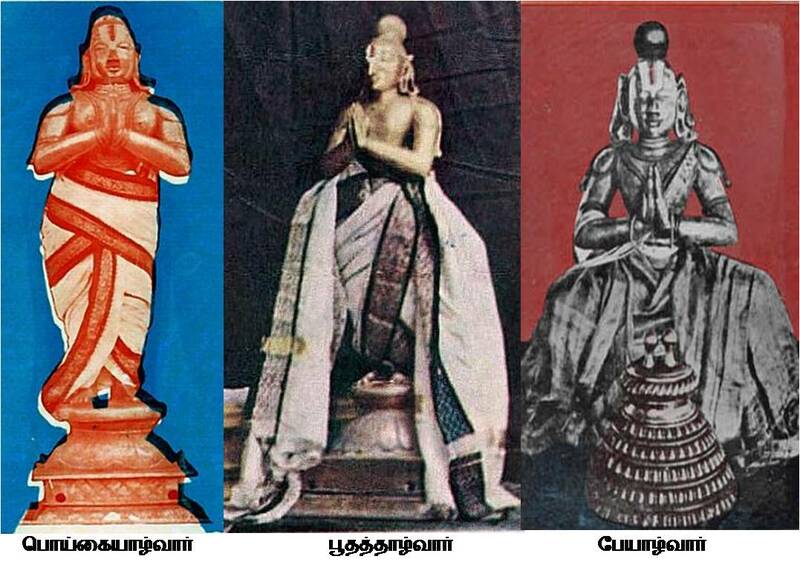 guru paramaparai – thiruvAimozhip piLLai – life and glories in thamizh – https://guruparamparaitamil.wordpress.com/2015/10/22/thiruvaimozhi-pillai/ – new article by renga rAmAnujam swamy based on http://guruparamparai.wordpress.com/2012/09/19/thiruvaimozhi-pillai/ . Please visit https://guruparamparaitamil.wordpress.com/2015/03/14/introduction-2/ to see the full list. 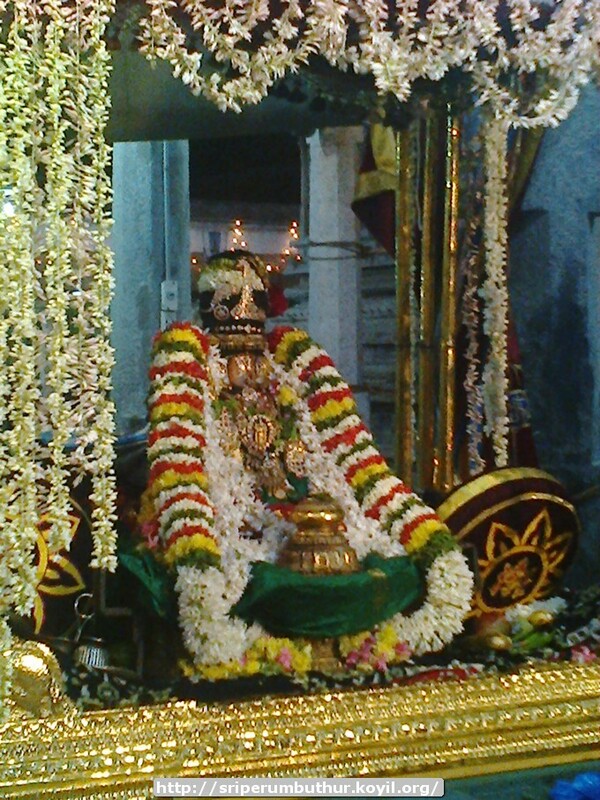 thulA mAsa anubhavam – poigai AzhwAr anubhavam – https://srivaishnavagranthamshindi.wordpress.com/2015/10/21/thula-anubhavam-poigai-azhwar/ – new article by bhagavathi ammangar based on http://ponnadi.blogspot.in/2013/10/aippasi-anubhavam-poigai-azhwar.html . Full series can be seen at https://srivaishnavagranthamshindi.wordpress.com/thula-masa-anubhavam/. 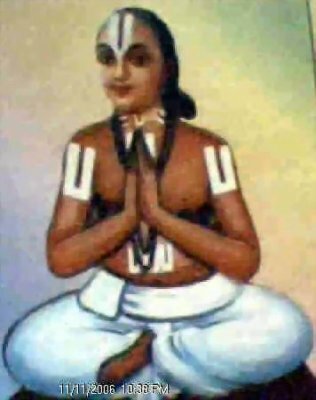 guru paramaparai – piLLai lOkAchAryar – life and glories in thamizh – https://guruparamparaitamil.wordpress.com/2015/10/18/pillai-lokacharyar/ – new article by srInivAsan swamy based on https://guruparamparai.wordpress.com/2012/09/18/pillai-lokacharyar/ . Please visit https://guruparamparaitamil.wordpress.com/2015/03/14/introduction-2/ to see the full list. dhivya prabandham – rAmAnusa nURRanthAdhi pAsuram 11 – http://divyaprabandham.koyil.org/index.php/2015/10/ramanusa-nurranthadhi-11/ – English translation by raghurAm swamy. Full series can be viewed at http://divyaprabandham.koyil.org/index.php/2015/07/ramanusa-nurranthadhi/ . guruparamparai hindi – pinbhazhagiya perumAL jIyar – life and glories in hindi – https://guruparamparaihindi.wordpress.com/2015/10/20/pinbhazhagiya-perumal-jiyar/ – new article by preethi ammangar based on https://guruparamparai.wordpress.com/2013/04/21/pinbhazhagiya-perumal-jiyar/ . Please visit https://guruparamparaihindi.wordpress.com/2013/08/29/introduction-2/ to see the full list. dhivya prabandham – thiruvAimozhi 1.10.5 – kaNdAyE nenjE – http://divyaprabandham.koyil.org/index.php/2015/10/thiruvaimozhi-1-10-5-kandaye-nenje/ . Full series can be viewed at http://divyaprabandham.koyil.org/?page_id=23 . thulA mAsa anubhavam – series of articles focussing on the glorious aippasi (thulA) mAsam in hindi – https://srivaishnavagranthamshindi.wordpress.com/thula-masa-anubhavam/ – new article by bhagavathi ammangar based on http://ponnadi.blogspot.in/p/aippasi-thula-masa-anubhavam.html . As thulA mAsam begins today, let us start recollecting the greatness/importance of this month with respect to our sath sampradhAyam. dhivya prabandham – thiruvAimozhi 1.10.4 – nenjamE nallai nallai – http://divyaprabandham.koyil.org/index.php/2015/10/thiruvaimozhi-1-10-4-nenjame-nallai/ . Full series can be viewed at http://divyaprabandham.koyil.org/?page_id=23 . This entry was posted in Uncategorized on October 17, 2015 by Sarathy Thothathri. dhivya prabandham – thiruvAimozhi 1.10.3 – em pirAnai – http://divyaprabandham.koyil.org/index.php/2015/10/thiruvaimozhi-1-10-3-em-piranai/ . Full series can be viewed at http://divyaprabandham.koyil.org/?page_id=23 . dhivya prabandham – thiruvAimozhi 1.10.2 – kaNNuLLE niRkum – http://divyaprabandham.koyil.org/index.php/2015/10/thiruvaimozhi-1-10-2-kannulle-nirkum/ . Full series can be viewed at http://divyaprabandham.koyil.org/?page_id=23 . dhivya prabandham – thiruvAimozhi 1.10.1 – porumA nILpadai – http://divyaprabandham.koyil.org/index.php/2015/10/thiruvaimozhi-1-10-1-poruma-nilpadai/ . Full series can be viewed at http://divyaprabandham.koyil.org/?page_id=23 . dhivya prabandham – thiruvAimozhi 1.10 – porumA – http://divyaprabandham.koyil.org/index.php/2015/10/thiruvaimozhi-1-10-poruma/ . 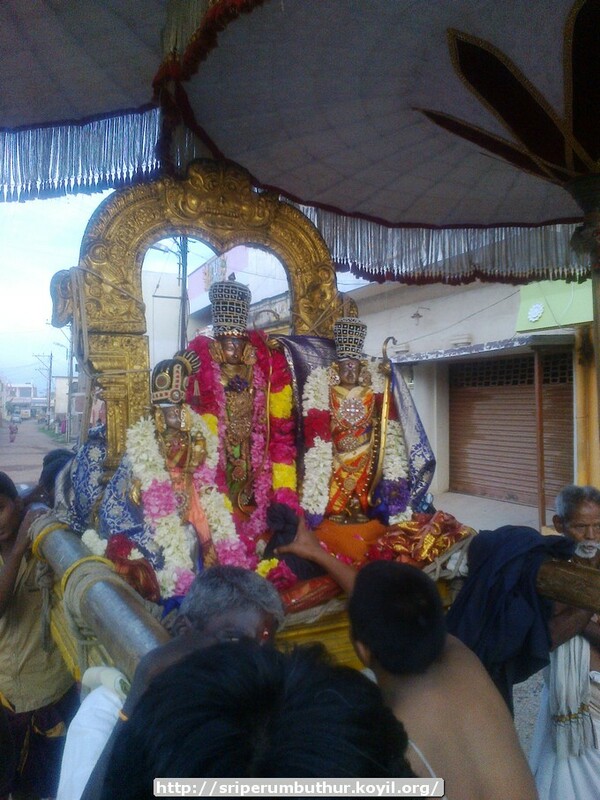 Audio recording of this decad can be listened from http://divyaprabandham.koyil.org/index.php/2015/10/thiruvaimozhi-1-10-audio/ . Full series can be viewed at http://divyaprabandham.koyil.org/?page_id=23 . srIvaishNava Education Portal – new article “uyyakkoNdAr and maNakkAl nambi” – http://pillai.koyil.org/index.php/2015/10/uyakkondar-and-manakkal-nambi/ as part of Beginner’s guide (http://pillai.koyil.org/index.php/beginners-guide/) series. thiruvAimozhi 1.9.11 – uchchiyuLLE niRkum – http://divyaprabandham.koyil.org/index.php/2015/10/thiruvaimozhi-1-9-11-uchchiyulle-nirkum/ . Full series can be viewed at http://divyaprabandham.koyil.org/?page_id=23 . rAmAnusa nURRanthAdhi pAsuram 10 – http://divyaprabandham.koyil.org/index.php/2015/10/ramanusa-nurranthadhi-10/ – English translation by raghurAm swamy. Full series can be viewed at http://divyaprabandham.koyil.org/index.php/2015/07/ramanusa-nurranthadhi/ . dhivya prabandham – thiruvAimozhi 1.9.10 – neRRiyuL ninRu – http://divyaprabandham.koyil.org/index.php/2015/10/thiruvaimozhi-1-9-10-nerriyul-ninru/ . Full series can be viewed at http://divyaprabandham.koyil.org/?page_id=23 . thiruvAimozhi 1.9.9 – kamalak kaNNan – http://divyaprabandham.koyil.org/index.php/2015/10/thiruvaimozhi-1-9-9-kamalak-kannan/ . Full series can be viewed at http://divyaprabandham.koyil.org/?page_id=23 . gyAna sAram – Hindi – e-book link available at http://divyaprabandham.koyil.org/index.php/e-books/ and http://divyaprabandham.koyil.org/index.php/2014/11/gyana-saram-hindi/ . Thanks to parAsaran (pradeep) swamy for preparing the e-book. This entry was posted in Uncategorized on October 10, 2015 by Sarathy Thothathri. dhivya prabandham – thiruvAimozhi 1.9.8 – nAvinuL ninRu – http://divyaprabandham.koyil.org/index.php/2015/10/thiruvaimozhi-1-9-8-navinul-ninru/ . Full series can be viewed at http://divyaprabandham.koyil.org/?page_id=23 . guruparamparai hindi – thirumazhisai aNNavappangAr – life and glories in hindi – https://guruparamparaihindi.wordpress.com/2015/10/08/thirumazhisai-annavappangar/ – new article by bhagavathi ammangar based on https://guruparamparai.wordpress.com/2013/06/26/thirumazhisai-annavappangar/. Please visit https://guruparamparaihindi.wordpress.com/2013/08/29/introduction-2/ to see the full list. dhivya prabandham – thiruvAimozhi 1.9.7 – thOLiNai mElum – http://divyaprabandham.koyil.org/index.php/2015/10/thiruvaimozhi-1-9-7-tholinai-melum/ . Full series can be viewed at http://divyaprabandham.koyil.org/?page_id=23 . guruparamparai hindi – piLLai lOkam jIyar – life and glories in hindi – https://guruparamparaihindi.wordpress.com/2015/10/07/pillai-lokam-jiyar/ – new article by bhagavathi ammangar based on https://guruparamparai.wordpress.com/2013/04/08/pillai-lokam-jiyar/ . Please visit https://guruparamparaihindi.wordpress.com/2013/08/29/introduction-2/ to see the full list. dhivya prabandham – rAmAnusa nURRanthAdhi pAsuram 9 – http://divyaprabandham.koyil.org/index.php/2015/10/ramanusa-nurranthadhi-9/ – English translation by raghurAm swamy. Full series can be viewed at http://divyaprabandham.koyil.org/index.php/2015/07/ramanusa-nurranthadhi/ . srI rAmAnuja dharsanam – e-magazine – September/AvaNi – hindi Issue recently released and can be viewed at http://www.varavaramuni.com/home/sriramanuja-dharsanam-magazine/hindi respectively. guruparamparai hindi – srIperumbUthUr Adhi yathirAja jIyar – life and glories in hindi – https://guruparamparaihindi.wordpress.com/2015/10/06/sriperumbuthur-adhi-yathiraja-jiyar/ – new article by bhagavathi ammangar based on https://guruparamparai.wordpress.com/2013/10/27/sriperumbuthur-adhi-yathiraja-jiyar/ . Please visit https://guruparamparaihindi.wordpress.com/2013/08/29/introduction-2/ to see the full list. dhivya prabandham – thiruvAimozhi 1.9.6 – mAyan en – http://divyaprabandham.koyil.org/index.php/2015/10/thiruvaimozhi-1-9-6-mayan-en/ . Full series can be viewed at http://divyaprabandham.koyil.org/?page_id=23 . guruparamparai hindi – kOyil kandhAdai appan – life and glories in hindi – https://guruparamparaihindi.wordpress.com/2015/10/05/koil-kandhadai-appan/ – new article by bhagavathi ammangar based on https://guruparamparai.wordpress.com/2013/09/30/koil-kandhadai-appan/ . Please visit https://guruparamparaihindi.wordpress.com/2013/08/29/introduction-2/ to see the full list. dhivya prabandham – thiruvAimozhi 1.9.5 – okkalai vaiththu – http://divyaprabandham.koyil.org/index.php/2015/10/thiruvaimozhi-1-9-5-okkalai-vaiththu/ . Full series can be viewed at http://divyaprabandham.koyil.org/?page_id=23 . srI rAmAnuja dharsanam – e-magazine – October/purattAsi – English Issue recently released and can be viewed at http://www.varavaramuni.com/home/sriramanuja-dharsanam-magazine/english respectively. guruparamparai hindi – appiLLAr – life and glories in hindi – https://guruparamparaihindi.wordpress.com/2015/10/04/appillar/ – new article by bhagavathi ammangar based on https://guruparamparai.wordpress.com/2013/10/19/appillar/ . Please visit https://guruparamparaihindi.wordpress.com/2013/08/29/introduction-2/ to see the full list. dhivya prabandham – thiruvAimozhi 1.9.4 – udan amar – http://divyaprabandham.koyil.org/index.php/2015/10/thiruvaimozhi-1-9-4-udan-amar/ . Full series can be viewed at http://divyaprabandham.koyil.org/?page_id=23 . srI rAmAnuja dharsanam – e-magazine – October/purattAsi – thamizh Issue recently released and can be viewed at http://www.varavaramuni.com/home/sriramanuja-dharsanam-magazine/thamizh respectively. guruparamparai hindi – appiLLai – life and glories in hindi – https://guruparamparaihindi.wordpress.com/2015/10/03/appillai/ – new article by bhagavathi ammangar based on https://guruparamparai.wordpress.com/2013/10/19/appillai/ . Please visit https://guruparamparaihindi.wordpress.com/2013/08/29/introduction-2/ to see the full list. dhivya prabandham – thiruvAimozhi 1.9.3 – arugalilAya – http://divyaprabandham.koyil.org/index.php/2015/10/thiruvaimozhi-1-9-3-arugalilaya/ . Full series can be viewed at http://divyaprabandham.koyil.org/?page_id=23 .